Balloons decorate a party hall in the most cost-friendly way. This is not only the budgetary way but also one of the colorful ways to add light and spark to your party hall. There are many different and creative ideas available to decorate party halls with balloons. The only thing that you need to have is the energy to inflate and use your creativity skills to come up with the unique decorative ideas that can really change your boring party hall to the most memorable party hall. 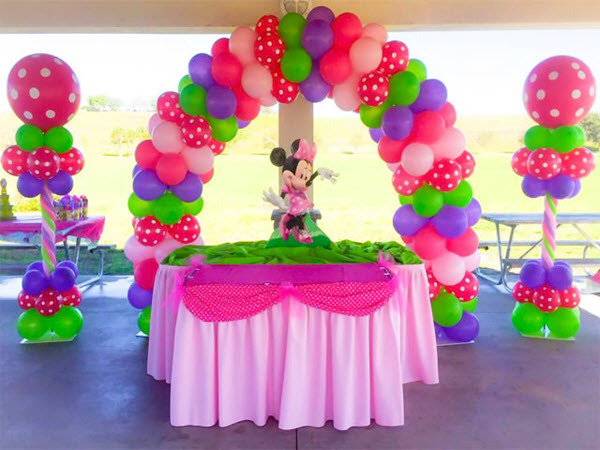 Let us first look at different types of balloons that you can choose to decorate your party hall and then we would come up with the creative ideas that would surely make your day. Which Balloons Should You Choose? Helium Balloons or Not? Using balloons other than helium is quite a cheaper and easier method to decorating your party hall in a completely different manner. But we must say, the variety of balloons under non-helium is limited so if you want limitless choices, prefer helium balloons over others. Mylar or Latex Balloons? What should you consider? You need to think if you are organizing your event indoors or outdoors. For outdoor events, Mylar balloons are preferred. The first and The Most Important Thing That You Should Start Thinking Is The Color Scheme. You need to first think of the color scheme according to the occasion and the party hall interiors. Balloons come in vivid colors and you can select them according to your taste and needs of the occasion. For example, Rainbow balloons, balloon with two color shades, balloons with shiny effects, and much more. To Inflate Helium Balloons, What Should You Do? 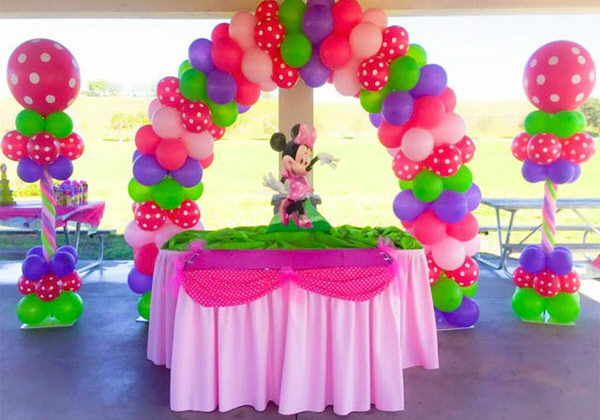 Better hire a party organizer who can arrange a balloon decorator for you or buy helium balloon inflator kit. Your Location Matters a Lot. If you are organizing your event in a large-sized hall, then you need to inflate more balloons. For this, you can opt for Latex balloons as they are cheaper and can easily inflate. Creative Ideas to Decorate Party Halls with Balloons. Use Different Hanging Techniques. Whether you go for helium or non-helium balloons, things won’t change for you. You can think on different hanging techniques like tying balloons to the ceilings, hanging over the resting table of your guests, hanging balloons with the return gifts, and much more. Cartoon characters and much more. Decorate Balloons. Use markers to create impressions and designs that best suits your party event. Fill Balloons with Fillers. Fill colorful balloons with different kinds of fillers in order to give mesmerizing effects to the balloons you decorate in a unique way. Balloon Decoration for a Reason. Use balloons to decorate your event for a reason. Above are the simple yet effective ideas to use balloons to decorate your party hall in a different way. Try these means and make your day more special.